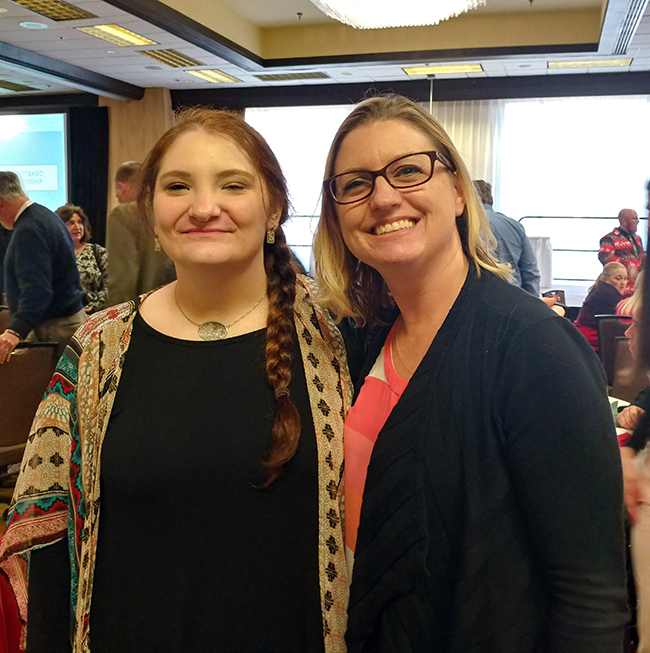 Did you attend the 2018 CASBO Sacramento Section Holiday Luncheon and Workshop? We did, too. What an amazing event! As always, we are grateful for a wonderful opportunity to visit with customers and share in the festivities of the day. Pictured above at the table: Arin Simonyan, Support Manager; Jesse Niewolak, Software Support Analyst; and Elen Meltonyan, Support Manager. As we walked down the stairs to enter the ballroom, our ears were delighted by Singers and Tintinnabulist Handbell Ringers from Will C. Wood High School (Vacaville), performing wonderful holiday classics. After the opening remarks, Danielle McGarrity, Charitable Giving Officer, from the Sacramento Children’s Receiving Home told a moving first-hand account of how donations to the Home really make a difference in children’s lives. This organization assists children and youth by providing shelter, food and resources to those affected by abuse, neglect, behavioral health issues and trauma. This was the first year Escape Technology contributed as a Gold Tier sponsor for the event. We are thankful for CASBO hosting this annual event that affords us the opportunity to reflect on the year, network with colleagues and continue to grow. Picture above: Jesse Niewolak, Software Support Analyst; and Michelle Mallory, Business Information Systems Support Coordinator, Solano COE. Jannelle Kubinec provided a wonderful and witty workshop as the keynote speaker discussing Trust Leadership. Her insight to the topic left the audience with inspiration to self-reflect and move through to the New Year with an open mind, trust to motivate those around us regardless of our stance in the organizational ladder, and many laughs from her countless anecdotes. All of us at Escape Technology wish you a wonderful and safe holiday season. Thank you for being the best customers and we look forward to seeing you at future events in 2019!